This is a new club founded on November 14, 2000. 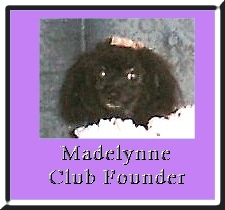 The club is for all poodle mixes. Pekepoos, Cockapoos, Maltiepoos, Yorkiepoos, schnoodles and any other poodles mixes are welcome. We will have member pages with pictures and bios of our poo members and links to their homepages if they have one. We will have a birthday calendar for club members. 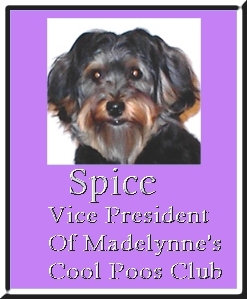 Every poo will receive a card and graphic gift from Madelynne's Cool Poo club on their birthday. We will have a monthly newsletter announcing birthdays for the month, any contests club members may be in and other club related news. 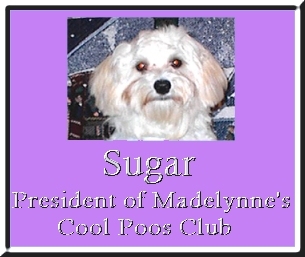 Every month, Madelynne will select a different member to be poo of the month. The poo of the month will have his or her picture displayed on the club main page for the entire month.